Ride-sharing companies like Uber and Lyft have brought much-needed disruption to the transportation industry. But the digital information and entertainment inside is still controlled by the stranger driving the vehicle. While riding in the back of an Uber, Wyatt Shaw had an epiphany: Why not add touchscreens with entertainment and games controlled by the rider? He partnered with college buddy Dan Forte to create Portl Media, a Toronto-based company that provides media and entertainment options through a network of connected screens in rideshare vehicles. When passengers enter an Uber or Lyft outfitted with this technology, they see the words “Touch Me!,” allowing them to choose games, movie trailers, sports highlights, local news, events, restaurant information, and targeted deals – all based on their route and destination. Allowing riders to opt in and pick their own entertainment is an important differentiator. “We’ve found a way to provide quality entertainment that’s optimal for the rider,” said Shaw. It’s clearly a hit with riders. In fact, 88% are engaging with the platform for an average of nearly eight minutes at a time. How do they take Portl Media to different cities across the U.S. and Canada? How can they add advertisers and new entertainment options? To find those answers, Shaw and Forte have moved to Philadelphia for 13 weeks to join the Comcast NBCUniversal LIFT Labs Accelerator, Powered by Techstars. They’ll be working with mentors from Techstars and Comcast NBCUniversal to get advice on entrepreneurship and working in the highly competitive entertainment space. 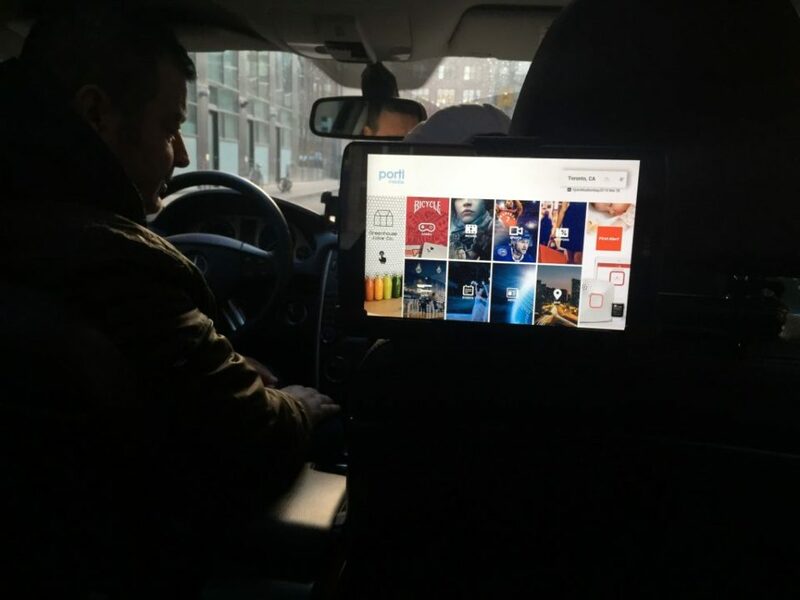 To get Portl Media off the ground, Shaw and Forte rode Lyfts and Ubers around their native Toronto, asking drivers if they would like to install touchscreens behind the headrests. The response was an emphatic ‘yes.’ Since that pilot test, the company has increased its network of ride-sharing vehicles by 400 percent and signed content and advertising deals with Vice, Nestle, and card maker Bicycle, who designed two original games for Portl Media. Along with the entertainment, the system also features an impressive list of targeted deals and coupons. Let’s say you have a history of catching rides to downtown Toronto. That’ll lead to coupons and promotions for restaurants and attractions in the area. “If you’re going to save $5 for something you were considering doing, that turns from advertising to just straight value,” said Forte. Meanwhile the rideshare driver is getting incredible value, too. They get a touchscreen for free and they’re providing a much better experience for riders. The testimonials have been very positive so far, as drivers are reporting that Portl Media is leading to better tips and stronger ratings. 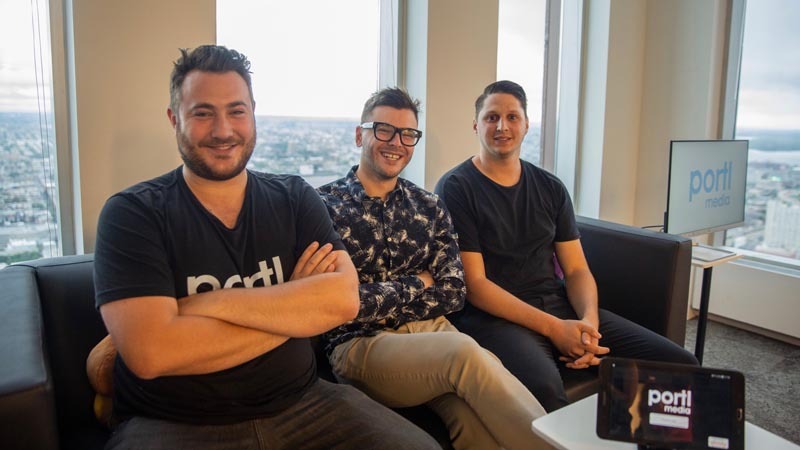 The Portl Media founders see themselves as entrepreneurs helping entrepreneurs, since they team up with drivers who are independent contractors. “They’re trying to make that experience the best they possibly can for their customers. We’re on a similar path. Dan and I are building this business and working to make life better for these entrepreneurs on a daily basis,” said Shaw.